Wide 6mm full diamond eternity ring, set with 2 carats of round brilliant cut diamonds across a double row design. 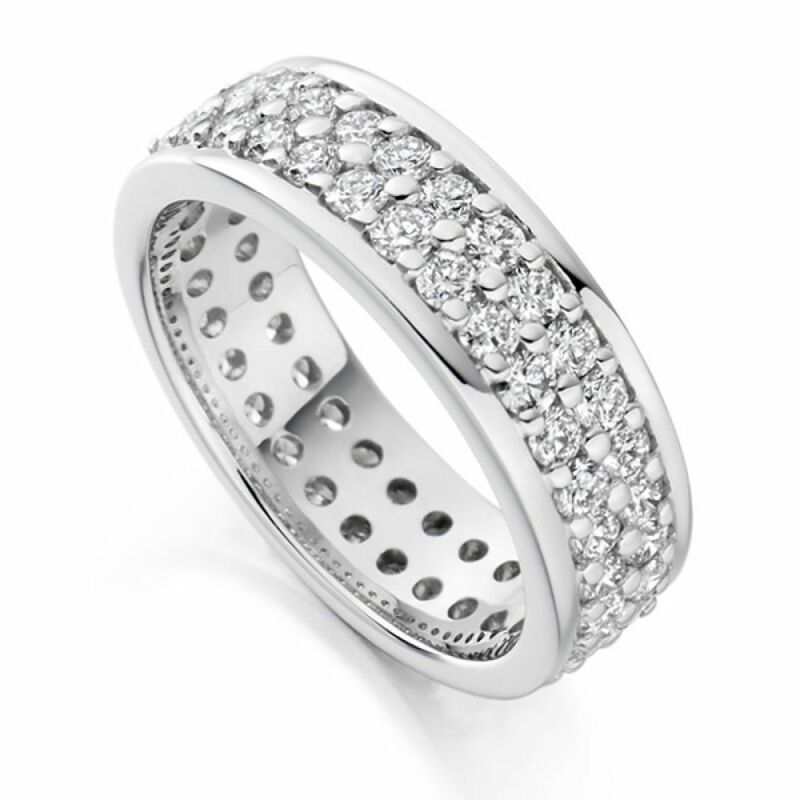 This double row Eternity Ring brings a very modern mesmerising style with bright white Diamonds. Each Diamond has been pave set onto the 6.05mm wide court profile band for added security. There is a striking total carat weight of 2.00cts, with each Diamond meticulously matched and graded F/G Colour, VS Clarity prior to setting. Available to be at your door within 3-4 weeks beautifully packaged and delivered by secure courier. Available in 18ct White Gold, 18ct Yellow Gold, 18ct Rose Gold, 950 Platinum and 950 Palladium.